Sometimes you need a helping hand to live your life to the max. Perhaps you have a disability or are not as young as you used to be. Whatever the reason let us help you and your loved ones get the most from life. 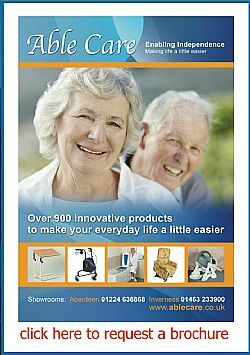 Established in 1996, Able Care is the Number 1 supplier of daily living aids, mobility equipment, specialist furniture and stairlifts based in the North and North East of Scotland. We also specialise in adaptations across the North and North East of Scotland, helping people to continue to enjoy their own homes. 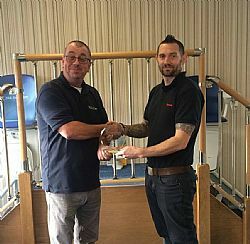 Able Care is the only authorised STANNAH STAIRLIFT dealer in Scotland. Welcome to our web site. Have a browse around and if you can't find what you are looking for please give us a call or leave feedback on the Contact Us page to let us know how we can help you.